The Fellowship is broken; the quest to destroy the Ring seems already shrouded in disaster. 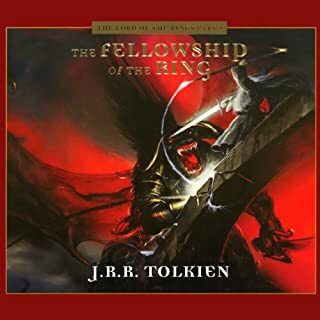 But as the evil lord Sauron readies his armies for war, Frodo and Sam continue their lonely journey toward Mordor, guided only by Gollum, a deceitful and tortured creature, helplessly in thrall to the Ring's dark power. It's a classic story and a great book. 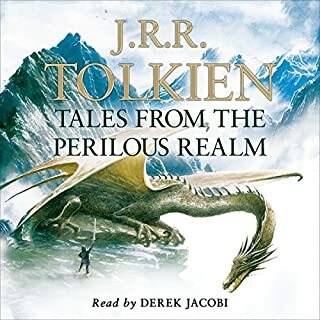 The recording is from an old radio broadcast with many of the author's insights and emotional descriptions removed and replaced with sound effects. Some may find it a welcome change, but I felt let down and unattached to the story. Would you be willing to try another one of An Ensemble Cast’s performances? I absolutely love this series. I grew up listening to the cassette tapes. The cast is great and the story is among the best ever written! 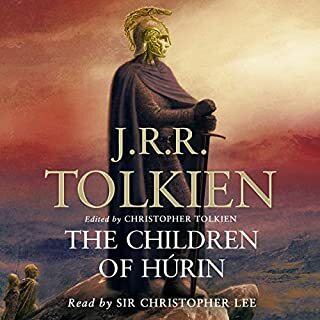 They do a great job of translating the story to an audiobook. I love that there is a dramatized version of this book! It makes it so much more entertaining. The 70's sound effects are especially fun. My main issue is that you have to keep turning the volume up and down so often because someone will be screaming one scene and then be whispering the next so you can barely hear them a lot of the time. It's also not completely clear who is speaking a lot of the time since they are acting it out instead of saying "then Legolas said...". I was also disappointed with how short it is but it is understandable. the worst performance ever. It would be comical if I had not paid for it. While the dramatization is excellent, they have significantly abridged the story in order to make the story fit into the dramatization, even so much as altering some of the dialog. While it still is a great story, for a purist, it was impossible to let it go. Had to stop and find another version with more of a narrative approach. LOVE IT. LISTENED TO IT IN ONE SITTING! Great job! The dramatization was well done. Listened to it in one night. Can't wait to watch the movie now! 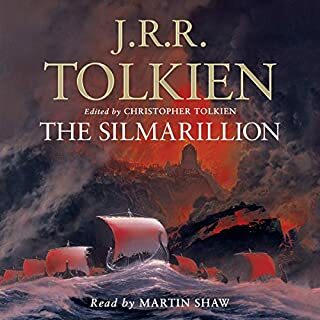 Tolkien's epic story is a favorite but this performance is not. The background noise is sometimes so loud that it is difficult to make out what the characters are saying. Many of the sound effects used border on the ridiculous. 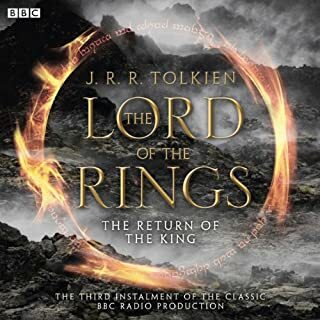 The sound of Gandalf's magic and the ring wraiths are particularly bad. All of the hobbit voices seem out of character. They are performed to sound like whiney children instead of young men. The narrator and the voices of the men are just fine. 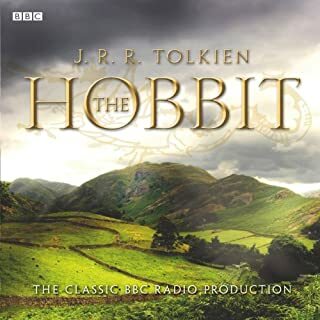 One especially annoying and off-putting point on this performance is the mispronounciation of the names of major characters and places....hearing Legolas called Le-goal-us or Gloin as Go-lynn was disheartening early on. Have you listened to any of An Ensemble Cast’s other performances before? How does this one compare? 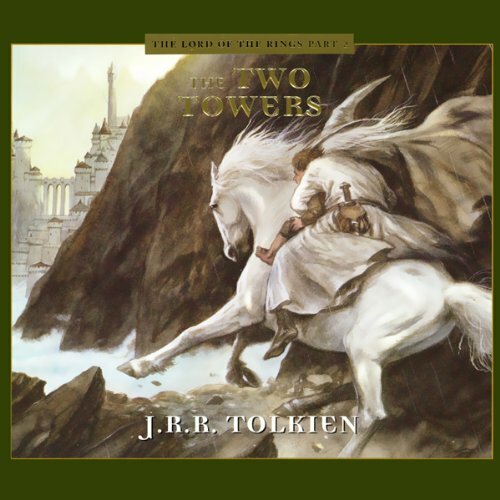 Do you think The Two Towers (Dramatized) needs a follow-up book? Why or why not? With a story that has such a rabid fan base, you have to be careful not to tick people off. Sadly I did not notice that it said "Abridged" until I had already purchased it. I listened to it with the hope I would not notice what was missing. This was not the case. The cast came off sounding cartoonish and goofy like a 1920's radio drama instead of maintaining the more mature feeling this epic tale deserves. Maybe it was recorded several decades ago back when audio books were done with 20 cassette tapes? It sure sounded like it. This story deserves better.